Reno has been through so much the first few months of his life. Reno and his two other siblings was dump in front of my friend drive way. They came to us cover in fleas, worms and skinny as a piece of bones. Looking at their faces I just can’t imagine how can anyone deprive these poor pups of foods, love and shelter. Reno is the rotten of his litter I am sure of it. He is shy at first but sweet and playful just like all puppies. Reno get a long with all dogs and cats. He is up to day with all his vaccine, neuter, microchip and ready for his furever home. 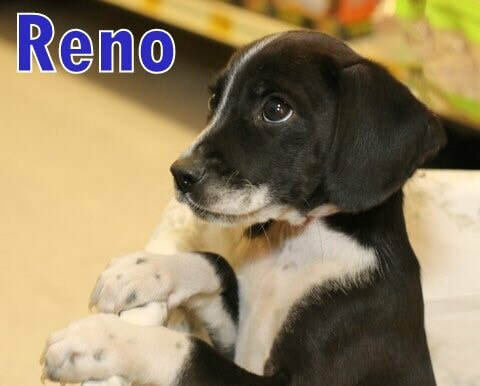 Please consider giving Reno his furever home. He has so much love to give and ask for nothing back but love in return. Let’s build beautiful memorable memories together.